OMGosh! It IS Christmas in July! Wendy has been posting all these Christmas in July posts, over on her blog, the last few days. Today, my wonderful, fantastic, sweetest man ever, darling husband comes home, from a work related trip to Amarillo, with this! No special occasion…just knew that awhile back, quite awhile back, I had toyed with idea of getting an embroidery machine. He said he hopes I like it, but I can take it back if I don’t. I was like, whatever! I’m sure I love it! What a man! Gotta run! I have an instruction manual to read! I hope that you love it. I have one, and haven’t used it for a couple of months, but have it it going pretty hard today. It’ quite fun. What a sweet thing for your husband to do. Very nice! You’ll enjoy that. That man is a keeper! Wow! What a thoughtful and considerate man! What a wonderful surprise! Give that guy a big wet kiss and a tight squeeze! He’s a keeper! Lucky You!!! On the machine and hubby!!! What a great thing for your hubby to do. He is a keeper! 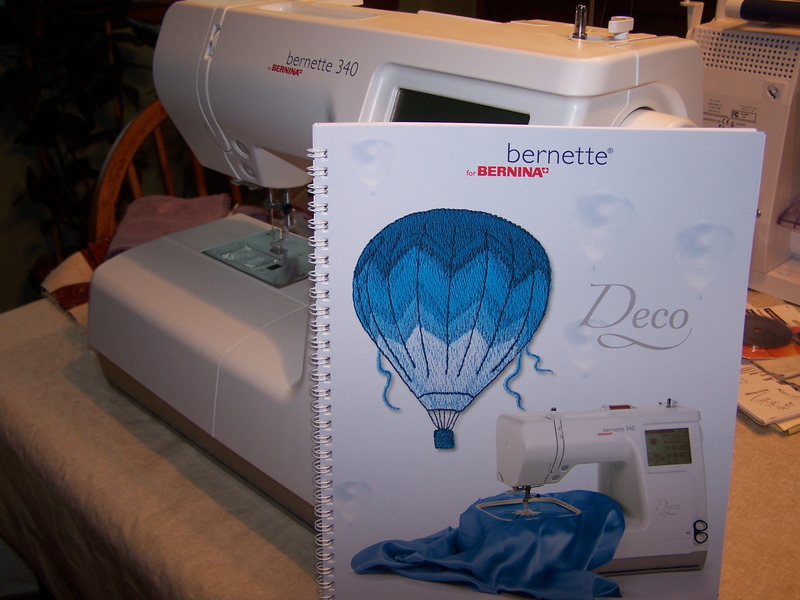 Now you can start collecting embroidery designs. There are a lot of freebies out there and great designers that sell their designs a lot cheaper than buying from the machine company. If you need any leads on these, let me know. It’s a keeper…he’s a keeper. Have a fun time exploring! « Storm At Sea Quilting Ta-Done!